The winter season I feel is the worst for skin. And even in a tropical city like Mumbai, we suffer with dry skin, flakiness, itching and also because of the humidity we have oily skin which is prone to acne and black heads. Not to forget the pollution, that adds to the daily damage of skin. Hence, what we require is not just Skin Care, but also Skin Defence. And that is exactly what VLCC Natural Sciences has developed. 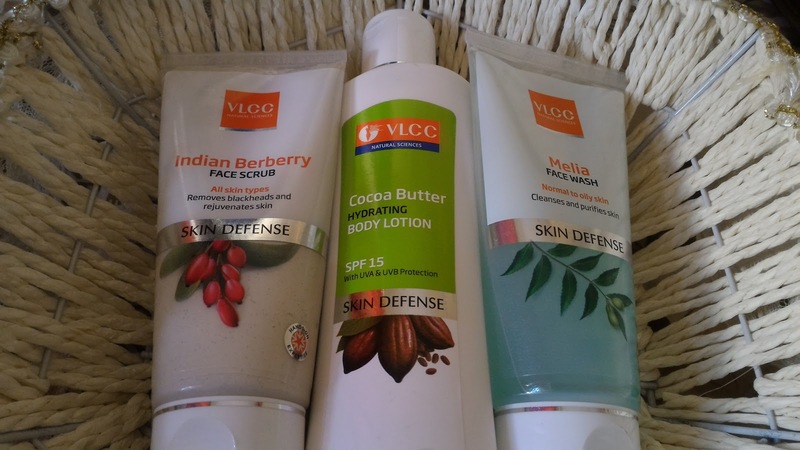 I got three products for reviewing - The VLCC Indian Berberry Face Scrub, Melia Face Wash and Cocoa Butter Hydrating Body Lotion with SPF 15. Indian Berberry has long been used in traditional medicine for its anti-inflammatory and anti-microbial effects, while Banana is known for its natural hydrating, antioxidant and anti-aging properties. Blending together the benefits of Indian Berberry and Banana, VLCC has created this efficient exfoliator that helps in remove tan, pigmentation and blackheads while simultaneously nourishing and protecting the skin. Apply about a teaspoon on clean skin, leave for 2-3 minutes, then massage gently with moist finger tips for 3-4 minutes. Avoid sensitive skin near eyes. Rinse off using lukewarm water. It is priced at INR220 for 80gms, and the quantity is good. Even if you use it twice a week (I don't think one should use any more than that) it will last months. I love the fragrance and it's a great scrub. But you need to follow the instructions and wait a couple of minutes after applying before massaging. If in haste you just apply and scrub, it will not be as effective. And remember to massage gently and not scrub hard, because it will be very harsh on the skin otherwise. Melia (Margosa Bark Extract) is ideal for sensitive skin, oily skin or skin with acne and pimples because it has anti-fungal and anti-bacterial properties. The extract has cooling and soothing effect on irritable skin. It also contains high level of vitamin C which helps blackheads, dryness, pigmentation, dullness, wrinkles and reverses sun damage. 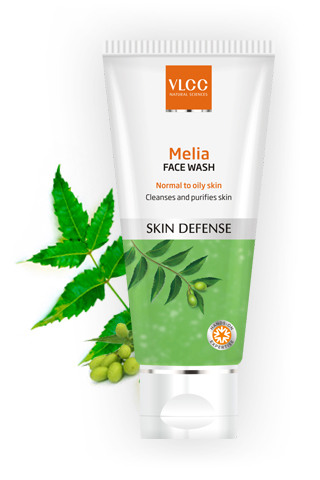 This facewash formulated with Melia extract helps clean skin without drying it. It offers protection against pimples as well as controls sebum secretion leaving your skin feeling sparkling fresh. For best results: Use twice daily. 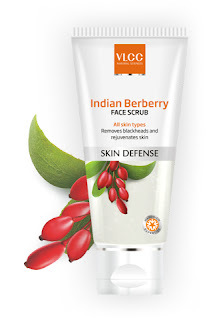 Follow this cleanser with VLCC Lavang Moisturiser for soft & moisturised skin. Priced at Rs.140 for 80ml, this product is refreshing, and works well on sensitive skin that I have. When I read what is is for, it felt as if this product is specially for me. I have used it a few times, and so far so good, but I guess I'm yet to know it's long term benefits. But what's important is it does not leave my skin dull and dry, which a lot of other face washes made for oily skin do. Cocoa butter is one of the best natural skin conditioners. It contains fatty acids that help in hydrating the skin deeply making it look and feel soft and supple. Enriched with antioxidants this nourishing emollient fights environmental stressors and free radicals, keeping them from damaging the skin cells that trigger premature aging. 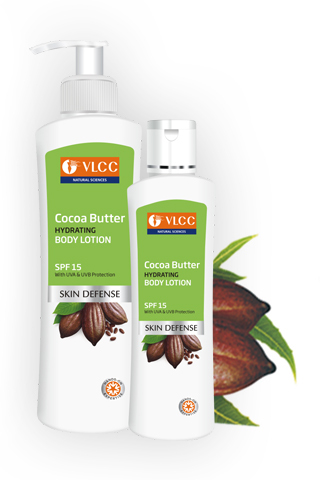 Combining the benefits of Cocoa butter with conditioning qualities of olive oil and aloe gel VLCC has whipped up this beautiful hydrating body lotion that moisturizes the skin and keeps it looking young, flawless and radiant. Apply it twice a day morning and evening, in the morning either after taking bath or 15 minutes before stepping out in the sun. It's pretty reasonable at Rs.155 for a 200ml bottle. And is it claims, it is hydrating, light and refreshing. My only disappointment is that it does not smell like cocoa butter at all, which I have seen in other cocoa butter products by other brands, which smell absolutely heavenly. IskiUski is one of the online foremost jewellery shop in india with the latest jewellery design in Gold, Diamond, Silver. We offer wide range of earrings for sale from various famous designers. In a country like India, vastu tips for business is considered one of the basic requirements while constructing a property or building according to pre-specified principles. It is necessary to follow these principles for wealth, health, fame and prosperity in life. Though it has become difficult to follow each and every principle in the present era, it is important to make maximum use of tenets in order to achieve peace and harmony in life.